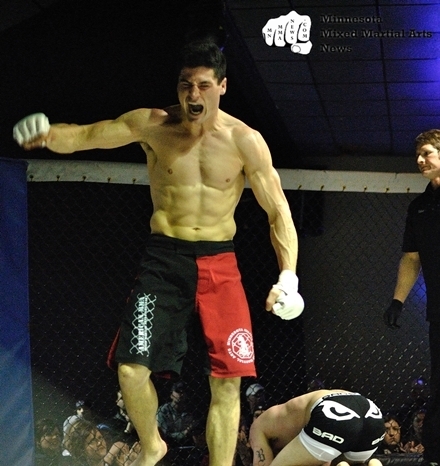 Get Sum Athletic Compound presents the latest episode of Flying Triangle Radio, which features Valhalla Cagefighting front man Jim Clark. We're breaking Clark's event "Valhalla Rising," which goes down Saturday at Stone Creek Golf Course in Foley. The amateur card features nine fights and tickets start at $25. Doors open at 6 p.m., with fights scheduled to begin at 7. The full fight card is listed below. Enjoy! 185 -- John Melina vs. Aaron Shaw. 180 -- Jason Roeker vs. Bradley Pitan. 160 -- Grygorii Zaiets vs. Ryan Beatt. 180 -- Dave Foley vs. Oleg Grytsyna. 155 -- Josh Treseler vs. Jake Ouradnik. 165 -- David Karpitsky vs. Marc Renville. 160 -- Ash Majok vs. Lydell Miller. 170 -- Marcel Anderson vs. Gary Granholm. 175 -- Anthony Mix vs. C.T. Bailey.